If Las Vegas can have its own version of Paris, France, then Whittier can have its own version of Switzerland. And while it doesn’t include cows grazing on rolling green hills or apple-cheeked children in lederhosen yodeling by a pristine lake, it does boast an interesting establishment, steeped in Swiss heritage and culture. 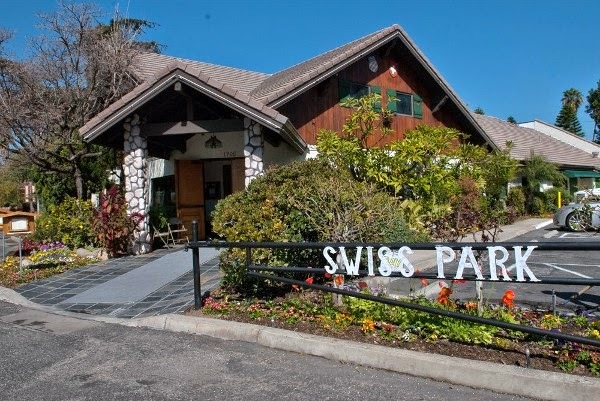 Founded in 1987 by the Swiss of Southern California, a consortium of Swiss singing groups, Whittier’s Swiss Park Banquet Center serves as a meeting place for expatriates and the site of the annual Swiss Fair. 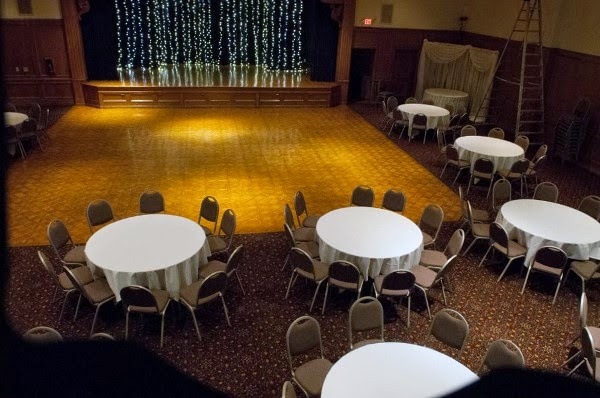 It also hosts wedding receptions, quinceañeras and corporate events. As you drive into the parking lot, you spot a wood-shingled gabled structure with a Swiss flag proudly billowing in the breeze. The scene does seem lifted straight out of a travel brochure, and suddenly you’re transported to a hamlet in the Alps. Carved wooden doors welcome you inside, where you find yourself in the Alpine Room, which is popular for small receptions and corporate functions. The first thing you notice are the unique decorations: historic national shields of Switzerland and cultural items such as crossbows and alphorns. A vaulted beamed ceiling brings to mind a cozy chalet. There’s also a fully automated miniature train station, complete with ascending and descending trams—sure to be a hit with kids. The main reception hall is the Matterhorn Room, a grand space with an intricate parquet dance floor and extensive oak wainscoting lining the walls. Light reflected off the wood creates a warm glow, contributing to an elegant, yet intimate, ambiance. The focal point of the room is a sizeable stage that lends itself to a wide range of entertainment. You’ll also find a gleaming full-service bar and dual staircases leading to a versatile balcony. This second-story niche comes in handy for seating extra guests, and its visibility makes it ideal for the bride’s grand entrance (she’ll appreciate the adjacent dressing room, complete with a restroom and full-length mirror). Outdoor ceremonies and receptions are held in the garden, a park-like setting behind the “chalet.” The whole area is bordered by lush plants and shade trees, and dappled sunlight plays on the soft grass—there’s even a waterwheel trickling into a fountain. 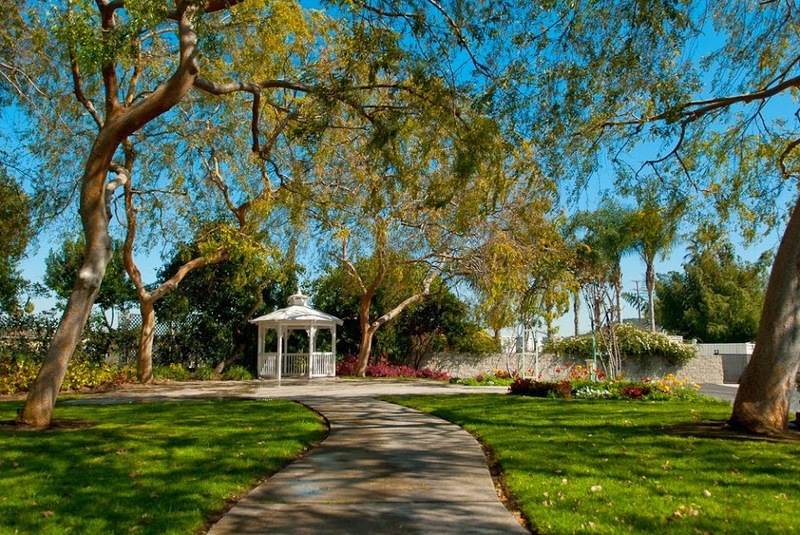 A flagstone walkway provides a natural aisle to a quaint gazebo where the couple exchanges vows. As full-service caterers, Swiss Park’s chefs are happy to customize your menu and can prepare almost any type of cuisine, including Asian, Mexican and Italian. And with an experienced European-trained coordination team available on site, your event is sure to be handled with precision and style. Over the years I've noticed that venues have nice, courteous and professional staff in their sales and catering. But there are a couple of people that stand out in my mind as people so overwhelmingly nice that you feel like you've made their day by walking in the door. Kim and Country Side Catering ( Formally of Westridge Golf Course ) and Tricia who works here. She came from a bridal store and she comes off genuine and very enthusiastic. She understands her client base very well and like Kim she has this place hopping. The owner Marcus kinda sits back and takes everything in. Though he's very much a hands on owner (and actually a really funny guy) Tricia does all the selling. Like La Palapa Del Mar Swiss Park is a place that you need to actually get inside of to like. It's just over the freeway from East Los Angeles and it's not really in a scary neighborhood as much as it's lost off some side streets near the corner of the 60 & 605 freeways. Swiss Park is neither trashy nor is it a five star hotel. It's roughly along the same lines as a fairly nice public golf course. I don't want to oversell the place and have you run in with expectations it can't live up to. But what's great about this place is that they will work with your budget. If you have a budget but want some place nice this is certainly worth checking out. 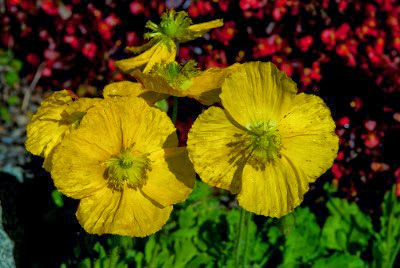 Swiss Park is located very close to the 60 and 605 freeways. Therefore it's a good venue if you are having a wedding reception if your ceremony takes place anywhere from North Orange County, Los Angeles, and the outskirts of the San Fernando Valley. If you have family all over this may be a great central location. As the name implies this place has a park on the property, in the back. The bad news is that one side is a parking lot, the good news is the other 3 sides aren't a parking lot! Actually the park is lovely, quite well maintained. There is a large gazebo and it's large enough to pull people to the other side of the park to do photos as guests are being seated. I actually think the grounds are understated. Since it's away from the coast it can get quiet warm in the summertimes. For everything bad I can find about this place I can state three good things about it. The parking lot on one side of the park is the largest disappointment I can think of. 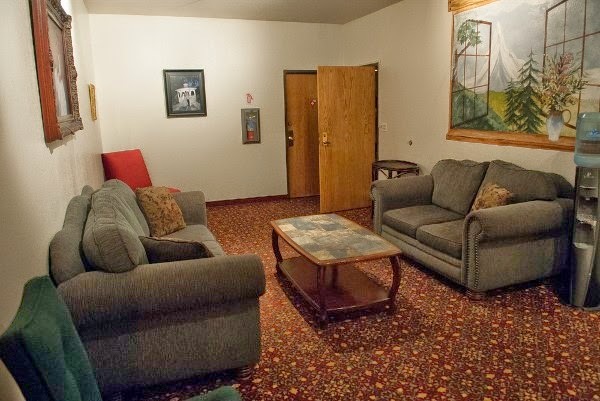 The place could use new carpet and furniture. If it was located in Orange County it would have this and charge twice as much. That's exactly how things work. This place has a well lived in look without looking run down. The bars are HUGE and the bridal room upstairs is one of the largest and nicest I've seen in a while. The photos all over the walls in the front and the hallways are really hit or miss. There are some really nice shots on the wall and some ones that need to be retired about three years ago. If dad is writing the checks and money is no object head straight to Laguna Beach and never look back. However, if this is your money we're talking and you're trying to make your budget work without resorting to VFW Halls then this is a great spot. One thing you can do if you like to check this place out without identifying yourself as a bride is go to their Monday brunch. At the time of writing this it was $6.95. Let me state that again, it's $6.95 for a buffet. If you go to Vegas and try to eat a buffet for $6.95 you most likely won't be on the strip and it won't be as good as this one. Seriously. if I lived closer I would go every week to this buffet. I really like the food. If you can't make it yourself you can send in a friend. What you will need to do is locate the hallway behind the buffet. It's the one lined with wedding photos. keep walking down the hallway and make a left at the end. Sneak into the Matterhorn room. It's a good sized room and it has an upstairs. You can sneak upstairs and check out the bridal room. If the place doesn't rock your world at least you had a nice lunch for not a lot of money and they appreciate you coming by to check them out. Yet, if it looks like it can work ask to talk to Tricia or Marcus. It's one of the few places I know of that doesn't scream at you if you don't have an appointment. They actually don't mind if you don't have an appointment. Overall I love this place, it seems to be a great place given our economy. It's inexpensive without looking cheap. If you are a fan of wood you'll really like this place. The staff is really nice. I think you'll love Tricia and the rest of the crew. I'm very up on Swiss Park, check it out!